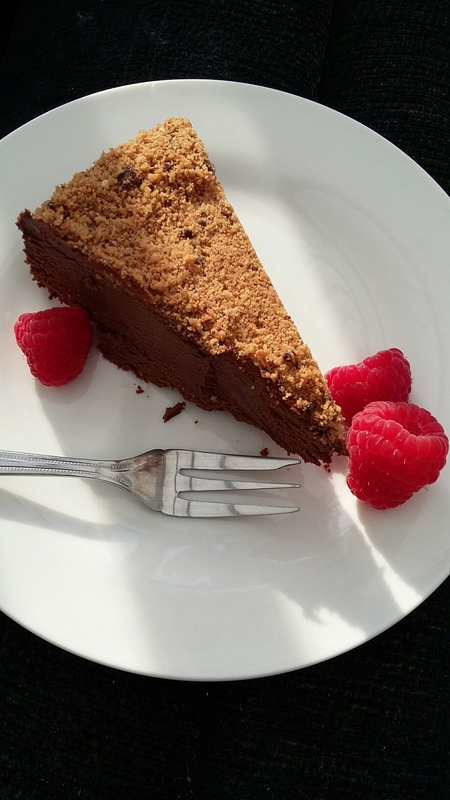 Seems silly to post a recipe for chocolate torte on the day I decide to get into shape. I never was one for convention. I stare down at my tummy with a mixture of contempt and satisfied pride…it’s been a fun journey. Now things must change. For some time I’ve managed to consume inordinate amounts of sugar and fat through various favourite treats and done little to redress the balance. So today I am posting a gorgeous recipe for something that may well come to be the last piece of cake for some time; except that it’s not a cake at all. 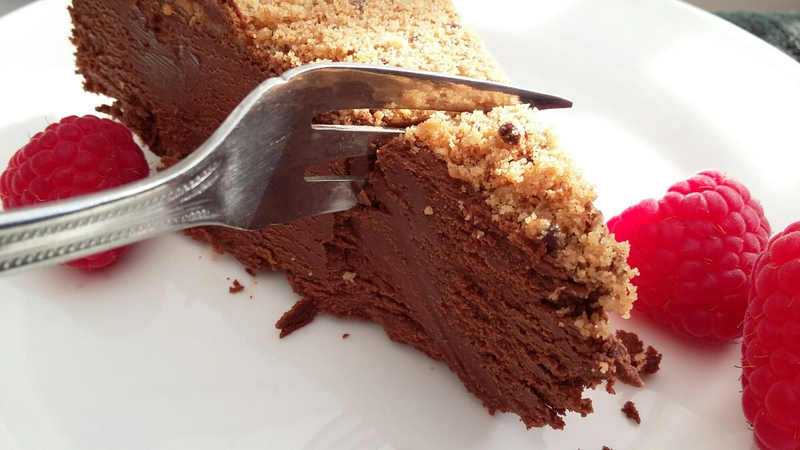 It’s a torte and it’s so dark and satisfying, that I couldn’t think of anything better to finish my run of gluttony on. Oh, I’ll be posting yummy goodness as usual, but I’ll be doing my best to preserve my arteries too. A tricky balance to strike. We all need a cheat day though and that’s when I’ll be cooking up a sugary storm and sharing it with you. 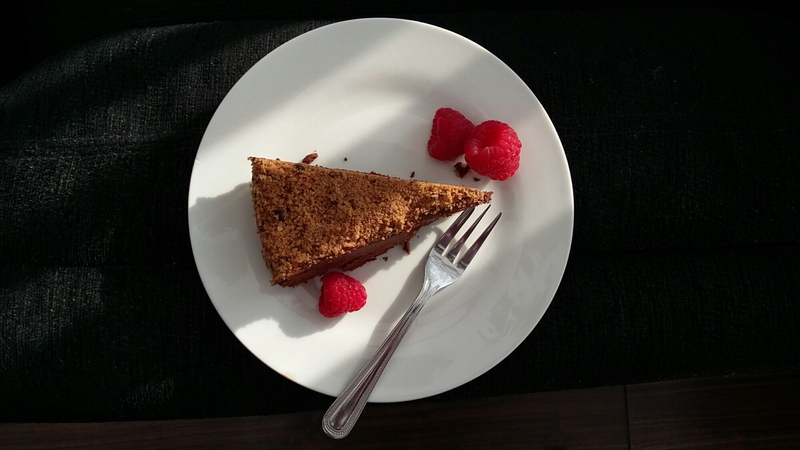 You didn’t think this was going to become one of those healthy lifestyle blogs did you? Ha! Onwards! Chocolate awaits! Such an easy recipe. It’s no wonder staying in shape is a challenge for me. Begin by lining a 20cm loose-bottomed cake tin with cling film. Melt the chocolate, syrup and 200ml of the cream in a saucepan on the lowest heat. Stir frequently to get rid of lumps. People recommend placing the chocolate in a bowl and heating it gently over a pan of hot water, but I’ve got a life to live and I just want the ingredients melted…this is a kitchen, not a spa retreat. Meanwhile, whisk the rest of the cream in a bowl until it is just about to form stiff peaks. Leave the melted ingredients to cool slightly before folding them into the cream. Be sure to take time with this stage. Patience will pay off because you’ll achieve a smooth and even consistency throughout the torte. Carefully pour the torte mixture into the lined tin. You could leave this in the fridge overnight, but that’s what boring people do. Instead, reclaim some of your teen spirit by putting the torte carefully in the freezer for a couple of hours. Stick a knife through the middle to test it. The torte is ready when the centre is firm. Turn the torte upside onto a plate and slowly remove the cling film. To finish, I blitzed a dozen Maryland chocolate chip and hazelnut cookies and then covered the entire torte. Done. 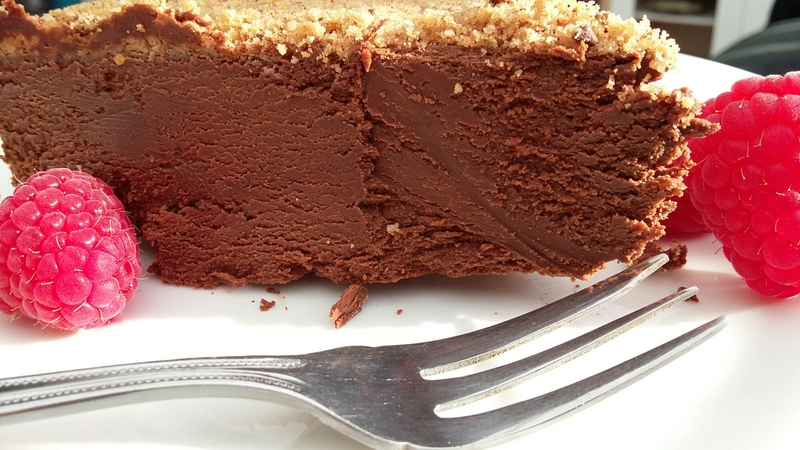 Just a small note: this torte is darker than a January morning and the chocolate hit is deeper than an abandoned mine shaft…be careful. 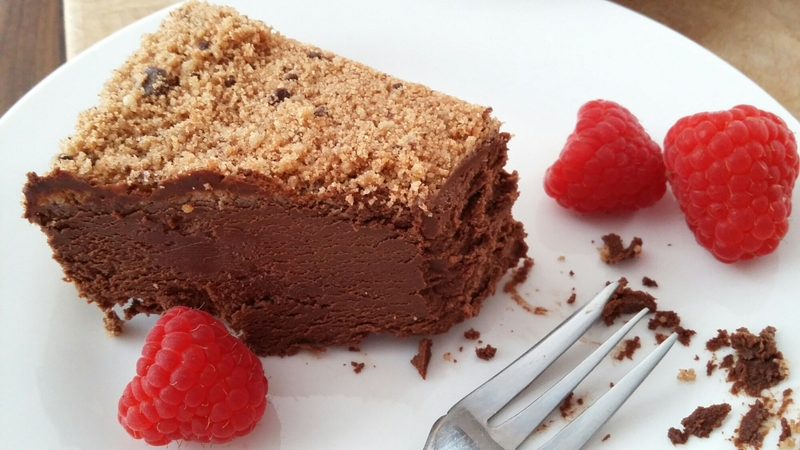 This entry was posted in Dark chocolate torte and tagged dark chocolate, dessert, double cream, food, Pudding, torte, ultimate chocolate by Dimitri @ The Last Piece of Cake. Bookmark the permalink.